Brazil, a country famous for its music, glitter and Carnival, contains a large proportion of some of the planet’s largest natural resources: the vast rain-forests, the largest river system in the world and enormous mineral reserves. Dancer at the Rio Carnival Although not on the same scale, Brazil also plays host to other interesting mineral deposits such as the carbonatite mineral intrusions in the Jacupiranga region in the state of Sao Paolo. 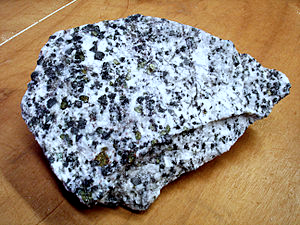 The melt and fluid inclusions contained within these carbonatites can be used to calculate trapping pressures, which are indicative of the approximate depth of origin of the mineral vein in the earth’s crust. Detailed analysis of carbonatites can yield characteristic information about the movement of tectonic plates. These plates are constantly shifting, as they have been doing for billions of years. 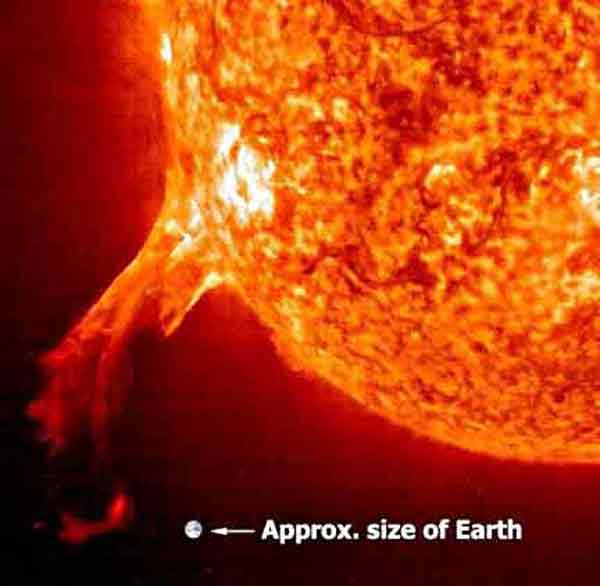 This involves huge pressure, heat and power: see the amazing sequence here. To understand the sequence Dr. Emma Salvioli-Mariani of the Università di Parma, Italy, has been characterising these carbonatites using a variety of techniques. 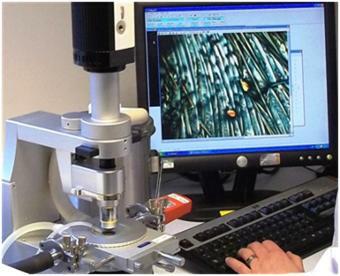 Qualitative analysis of the small inclusions was performed using energy dispersive x-ray analysis in the SEM, whilst ICP and ICP-MS were used for major and trace element analysis from whole rock samples. Detailed thermometric analysis by studying the homogenization temperatures of inclusions was carried out using the Linkam THMS600 for temperatures up to 584°C, and the Linkam TS1500 up to 1194°C. For the full story please refer to Dr. Salvioli-Mariani’s excellent paper: “Late veins of C3 carbonatite intrusion from Jacupiranga complex (southern Brazil): fluid and melt inclusions and mineralogy”. Prerequisites for a treasure hunt, old style. Put down the whip and hat. Move over Indiana Jones. Its time for a new style of explorer. Gone are the days of dusty maps and mythical golden cities, these days the chances of finding gold, and other resources, requires a more scientific approach. Geologists around the world are using microscopes and heating stages to explore the subterranean world of our planet and find its buried riches. Using a THMSG600 Linkam stage, scientists at the Department of Physics and Earth Science from the University of Parma are investigating gold deposits from the Lepaguare valley mining district in Honduras. The Lepaguare is a mining district that hosts several precious metal vein deposits. These deposits mainly consist of gold and sulphide and are found alongside thick quartz veins within pre-Mesozoic metamorphic rocks. Inside the veins, the quartz crystals are rich in fluid inclusions (FI) which can be studied to provide an understanding of the history of the gold deposits. 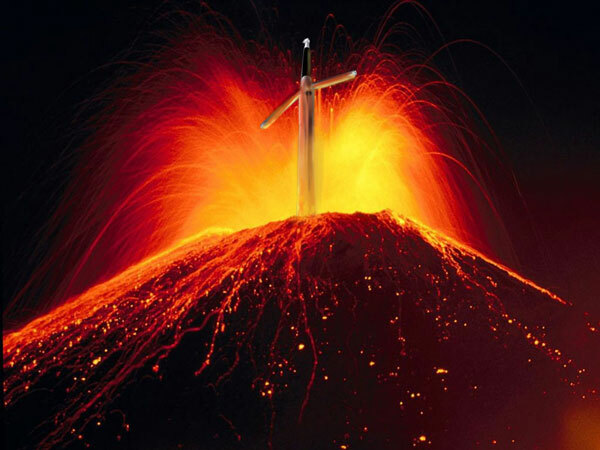 We don't expect to see a THMSG600 in the next Indiana Jones movie, but we live in hope. You swallow a pill and you expect it to work. However, orally delivered drugs have many obstructions: they have to withstand stomach acid, pass across intestinal cell membranes, avoid destruction in the liver, and are affected by the presence of food and/or other medicines. But oral medicines are economical, convenient, you don't (usually) need someone else to help you take them, you can accurately monitor your own dose, and don't need any special equipment (no scary needles). While oral administration is the most common there is also parenteral administration by intravenous, intramuscular and subcutaneous injections. The parenteral method is prefferable as it is more efficient, but it is costly - both in the development and the administration. At the moment only a few medicines, such as insulin, are delivered this way. Dr. Jingjing Liu from the Institute for Particle Science and Engineering at University of Leeds has looked at ways of reducing the cost of production of protein crystals that are a part of protein-based medicines - which are usually administered by injection. Historically, medicine manufacturers have faced challenges growing crystals on an industrial scale as they require specific complex nutrient solutions. This research is fundamental to further understanding the behaviour of crystal growth in a population and provides crucial information for the design, optimization and control of industrial-scale protein crystallization. Scaling up this vital research is the first step to competing with pill-based medicine. Researchers are trying to explain the origin of two species of bird on the Swedish Island of Öland. Understanding how a new species evolves is still somewhat of a mystery because it's an immensely slow process and takes place over thousands of years. Despite these limitations scientists are able to study fully formed, closely related species, such as these birds, and try to infer how they evolved. The gametes of two species of bird: the Collared Flycatcher and Pied Flycatcher are being studied by researchers from the Evolutionary Biology Centre, in Uppsala, using a Linkam TH60-6 warm stage. These two species started to diverge approximately 2 million years ago. The aim is to learn about how gametes diverge between species. The scientists think a mechanism has evolved to allow the breeding adults to better recognize a member of their own species, however the birds sometimes cross-breed. The resulting hybrid young have reduced fertility; an explanation of this is that the gametes have diverged. One aspect of the study is to look at the characteristics of the ejaculates of both species, and hybrid males. This ongoing research has cross-species implications, and helps scientists understand how other species may have developed. We look forward to finding out more about Murielle’s conclusions. 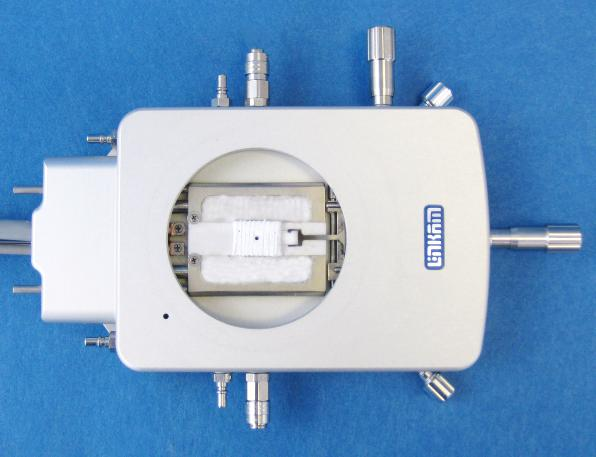 The CCR1000 is used as a mini-reactor (in-situ Raman cell) at the University of South Carolina to study heterogeneous catalysis. The University of South Carolina was founded in 1805. It originated in one building and over the years has grown to have over 200,000 living alumni. These include the band Hootie and the Blowfish, Grammy award-winning musicians, and Tonique Williams-Darling, 400-meter Olympic gold medallist for her native Bahamas in the 2004 Games. The university’s research initiatives in nanotechnology, health sciences, Future Fuels™, the environment, and information technologies have helped make it one of only 63 public universities listed by the Carnegie Foundation in the highest tier of research institutions in the United States. 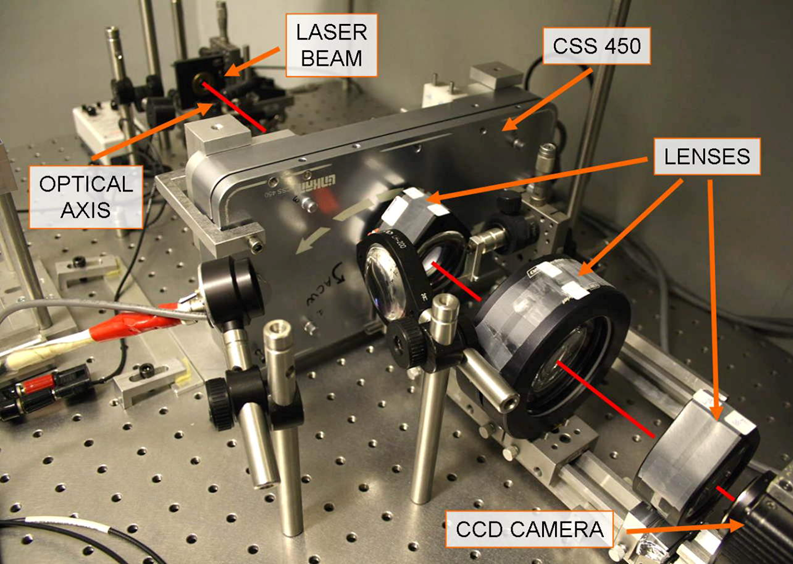 Graduate student, Artem Vityuk and his colleagues are using Raman spectroscopy to study oxidation of CO over rhodium based catalysts in the Linkam CCR1000 cell. CCR1000 Linkam stage in the lab at the University of South CarolinaSamples are loaded into the CCR1000 in a nitrogen filled glove box as the catalysts are air and water sensitive materials. During the experiment a CO/O2/He mixture flows through the reactor cell. Catalysis by "single site" catalysts is of particular interest to the researchers as at this scale catalyst properties change drastically which often results in enhanced catalytic activity. At the moment they are still on the trial and error phase but I look forward to hearing more about their experiments in the future. At Linkam we love our food (perhaps a little too much!) That is why we were very excited to find out about how our stage is being used at the Pontifical Catholic University of Chile. Founded in 1888 at the behest of the Archbishop of Santiago, Monsignor Mariano Casanova, the Pontifical Catholic University of Chile is one of the top Universities in South America. Created to instill academic excellence it was at the School of Business and Administration Sebastián Piñera, the current Chilean president was educated. At the UC a research team, headed by Pedro Bouchon PhD in the Chemical and Bioprocess Engineering Department are using a Linkam THMS350V stage to examine atmospheric and vacuum frying of starch granules in oil and water. Micro-structural changes are indicated by swelling and gelatinization of potato starch granules during heating, where swelling starts at 64°C. The goal is to understand the role of different ingredients when they are processed under different conditions, and the impact that these processed ingredients have on nutrition. The eventual aim is to develop low fat snack products that also taste as good as the traditional ones. Heating-vacuum microscopy is an essential technique in beginning to understand the complex process of vacuum frying, a technique which may lead to innovative ways to prepare our food. For more information about their experiment please see press release. Founded in 1905, the University of Iowa Pharmaceuticals (UIP) began when the Iowa College of Pharmacy started to dispense medications to the University’s Hospital, and since then has grown to be the largest and most experienced FDA affiliated pharmaceutical University in the USA. Since 1974 UIP has been producing cGMP compliant materials for client organisations. UIP’s very first client was the National Cancer Institute and now lists among its client’s government agencies, Centres for Disease Control, the WHO, the National Institutes of Health, and the FDA. At the UIP, Professor Lee Kirsch’s group is using integrated Lyostat 2 and Lyotherm 2 units to study formulation, collapse and melting of client formulations. 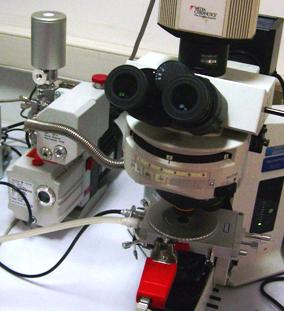 The Lyostat 2 is a freeze-drying microscope which incorporates a Linkam FDCS196 stage, controller and liquid nitrogen cooling system. The Lyotherm 2 enables a scientist to achieve a more complete picture of events than conventional thermal analysis as it allows a scientist to perform two analyses at the same time, providing a Differential Thermal Analyser (DTA) and Electrical Impedance capability (Zsinϕ) in a single unit. The combination of the Lyostat 2 and Lyotherm 2 instruments allows the team to investigate critical temperatures of client’s formulations efficiently and easily. This can significantly reduce the time in the lab required to establish these temperatures and so reduce the overall cost of formulation of a new drug, a benefit to both the pharmaceutical company and eventually the consumer. This also means new drugs may be able to be brought to the market quicker, improving the health care available for patients worldwide. The unparalleled temperature control of the Linkam temperature stage has enabled a practical solution to a difficult problem in freeze drying formulations. Some Christmas viewing... courtesy of SP Scientific and Linkam. SP Scientific, a synergistic group of four leading scientific equipment brands is hosting some free lyophilisation seminars. As a company that strives for superior qulity and service: something very close to our hearts at Linkam we anticipate these seminars will be both entertaining and enlightening. As part of the audience you will have the opportunity to talk to leading scientists in the field and ask all your awkward questions. Older seminars can be viewed in the archive while the next instalment is on the 24/1/12 at either 7am or 12 noon NY time. In this one entitled “freeze-drying of human red blood cells” Dr Kevin Ward, PhD from Biopharma Technology Ltd, will be talking about blood preservation and refrigeration. This is a crucial topic as blood cells preserved by refrigeration only survive 35-42 days. Drying cells, so that they maintain both structure and the capacity to carry blood is a tough challenge. Past seminars have included a talk by our very good friend Ruben J Nieblas from McCrone Microscopes on “'The practical application of freeze drying microscopy in product thermal characterisation'. First there was November. Now there is Movember. The one month in the year where men across the UK, and the world proudly adapt their daily routine and instead grow a moustache as a physical reminder of men’s health issues. Thanks to events like the “tickled pink” campaign female cancers are widely known and always in press. Less attention is given to male prostate and testicular cancer which is one of the biggest killers in the UK. In 2009 nearly eleven and half thousand women in UK died of breast cancer. In the same year nearly ten and half thousand men in the UK died of prostate cancer. The team at the start of the monthOver the month of Movember men are sponsored to grow a moustache and so change the “face” of men’s health. Sponsorship money goes to raising awareness and research. The Movember movement works in partnership with The Prostate Cancer Charity and the Institute of Cancer Research. This money goes directly to furthering these charities goals, namely to fund survivorship initiatives that provide information and support for those affected by prostate cancer, to publicise the health risks that men face and encourage men to seek medical help when required, improve diagnostic and prognostic tests and treatments so men are diagnosed faster and have a better prognosis, and fund critical research. The team at Linkam Scientific were proud to join this campaign and collected nearly £400 sponsorship money. Well done guys! 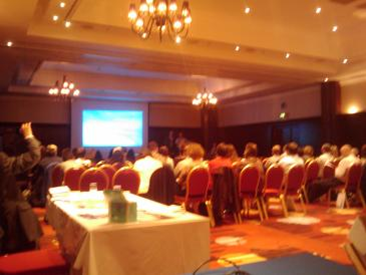 On the 16th of November 2011 we attended the Cryo Microscopy Group meeting. It seemed very appropriate that the meeting was held in the Boots Science Building, School of Pharmacy, at the University of Nottingham, whose motto is “A City is Built on Wisdom”. It was here that international speakers and forward thinkers in cryo-microscopy came to network and talk about best practice. We took the LTS420, THMS600 and FDCS196 heating/freezing stages along with our popular Imaging Station. Delegates were extremely interested in the wide range of applications and unparalleled temperature control offered by Linkam products. Linkam Scientific Exhibition standThe atmosphere was light hearted and the number of exhibitions truly impressive. We had the great pleasure of meeting many of our existing customers and pleased to introduce our range to some new faces whilst hopefully answering all of your questions. All in all it was a very enjoyable day (Great Cakes!) and a first for me, representing a company at an exhibition, something I hope to do again soon. I would like to say a big thank you to everyone at the meeting for being so welcoming and for making it a very enjoyable and interesting event for all of us. Last week, I again delved into the world of Polymer science when I attended the 14th International Conference on Thermoplastic Elastomers (TPE's) which was held at the Sheraton Hotel in Brussels. The main focus of the two day event was on how this innovative class of speciality engineered materials can be used in various different applications. These materials provide a hybridity between plastic processing and elastomeric functionality which has lead to an increase in market demand within the medical, industrial, electrical fields, just to name a few. The variety of applications for TPE's was highlighted by the diversity in the contents of the talks; which ranged from the use of TPE's in athletic footwear to how they can be used to reduce the cost of baby diapers. 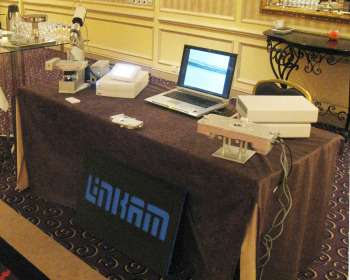 There was a lot of interest from the delegates in our Linkam stages and there was much intrigue in regards to the TST350 (Tensile Stress Testing Stage) and CSS450 (Optical Rheology Stage) which were being exhibited at the conference. It was a thoroughly enjoyable few days, not least for fantastic Belgian chocolate shop located right opposite the hotel! I would like to thank Helen and Sharon at iSmithers Rapra for their hospitality and for putting on such a great show.